^^^ Nothing but strange from the beginning. Yup. At least with paint you know that when its dried your interior vision will bring you peace. These two dish!ts who serve absolutely no purpose just nothing. Maybe because Murky made his cousins special day all about herself? Maybe he had enough sense and self respect to tell her to wait until the wedding was over before she talked about it? At least I hope he did. Surely he isn't that cruel to his cousin? Selfish tw+t. At least CafeMom took her to task for trying to one up Eugenie on Eugenies special day. Just unnecessary and smug. Articles lead with her as this is her tour. Harry playing the sideline comedian is quite sad. Hard to believe that he's fallen down this low now. I find his mix signals, happy, sad, manic behavior annoying as he does look like he needs professional help. She's oblivious to his moods as she's lapping up all the attention and gifts. Harry might as well not be there. Well I've been watching the first day of the tour on two channels of Aussie TV and there is no way that Harry is playing second lead. The TV commentators have been praising him and regard him as a great guy. Excellent turnout by the public at Taronga Park Zoo, ten deep in places, with the Aussie public pleased to see them. They opened a research facility at the zoo (Harry made an off the cuff speech there which was well-received) and got a stuffed koala for the baby. Then it was onto the Harbour and Opera House, where Harry met Daphne the war widow again (seen on previous visits) and introduced her to Meghan. The weather's been brilliant, lots of sunshine. I think Harry is, for the first time in his life, out of sync with the public mood. He is clearly having problems getting back his old footing and as for Meg, she is merrily scooping up press and gifts and to her, Harry is her sidepiece, her accessory. His only purpose is to serve as her way into her new life. I don't think anyone who has seen any of the live footage from Aussie TV channels today (not just clips) could possibly say that Harry hasn't played a full part as a senior Royal. He opened a facility at the zoo, made a speech, was greeted just as enthusiastically as Meghan by the Sydney crowds. Perhaps even more so, as he is popular here. He certainly wasn't ignored, diminished or made a fool of. According to this ITV report Harry and Meghan informed the Queen and Prince Philip of the pregnancy days before the wedding (presumably by phone) and almost certainly Charles and William and Kate as well. It was only at the wedding when they were all gathered together, that the others were able to congratulate the couple in person. Afternoon reception at Admiraly House, with tea and beer. Harry made a speech. Close watchers of Meghan on other forums, Twitter and elsewhere, have been noting subtle changes in waistline, Meghan's more rounded face, and her chest area for several weeks. About a dozen that I read called it for definite last Friday when she wore the navy dress and coat. Some are saying she's probably about 16 weeks. It may Ve an early April birth. Didn´t look fat in that cream frock did she, she looked preggers in the engagement photo, far more so than now. Many forums, blogs, social media are saying she is using a surrogate, time will tell. See how she fares with this tour. Also people from on the ground in Australia are saying they have little interest in her, the media are ordered to make it seem good, they have no choice. I recall the dorky bill medd and council cath in Australia, attended some event or other. Told it was a sell out, enormous turn out. When the truth came out it could hold 15k people, just over 5k attended and the couldn´t even give the tickets away. I personally do not believe all that the media tries to push out to the public. Give it a few months and the truth will out, always does. They are taking a real bashing on the internet, especially about outing it at PE´s wedding and then releasing it to press on the Infant Loss day - bad timing for them on both counts, it has rankled many people across the globe. I don't see much if any interest in the media here - surprising, because there's always some small blurb somewhere. Maybe I'm not looking or maybe I don't even care? Did the dates of the tour suddenly change? She looks pregnant here. She wasn’t. This was pre Harry. She seems to have an odd flabby waist area. The tour’s boring. Harry doing the same thing over and over and her enjoying her day in the spotlight is too nauseating to see. Harry can’t get his spark back as he lost that and his believability and respect when he was linked to a vapid narc actress who does whatever she wants and gets away with it. This isn’t a royal tour as the royal is acting like a celebrity accompanying his ‘megastar wife’ as she the centre and focus. Harry will go on by himself whilst Meghan hangs out with her cohorts and party. Jessica should be showing her plastic face soon. Meghan met the well-known Aussie singer Missy Higgins and her baby daughter at the reception tea at Admiralty House. Afterwards Missy put this online, following her conversation with Meghan at the party. Meghan is, according to this, four months pregnant or thereabouts, putting conception back to at least late June. ^Missy Higgins is a beautiful soul. The media is full of them here, and the ABC is running promotions for the Invictus Games, it’s really wall to wall coverage. The Governor General put her in her place when they led out with the GG and Harry in front Megs and the GGs wife next and other dignitaries behind. Harry led the walk around with Megs following with the Premier of NSW at one point and Harry calling her over a number of times. I agree with Rosella, he is not coming across as her lap dog. 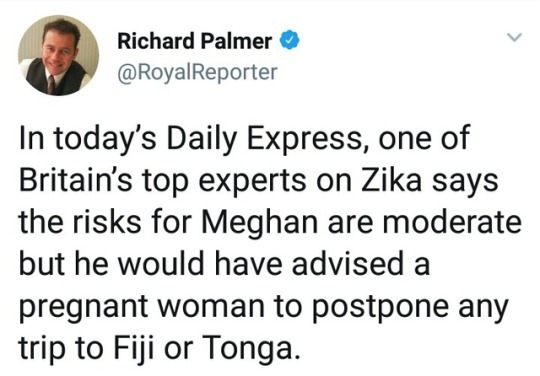 I was shocked that they either ignorantly or deliberately upstaged Eugenie with the baby announcement and thought they could have left it till they returned to the UK. I certainly hope we taxpayers are not funding Jessica! No, I’ve seen no interest and heard about a lot of disinterest. Well he is being guided by the Aussies not to be her lap dog at this last affair. Left to his own, he is from what I have seen. That is the nature of their relationship. It may change in time and most likely will. I think you are funding Jessica and I do believe that while Harry isn't her lapdog, he is not energetic enough to stand up to her domineering ways. Windsor men I think like to be dominated sometimes. It's in their genes IMO. That was true about Uncle Edward for sure. She definitely has a sort of weird flabby body in the midsection. She also likes to stand certain ways to push her stomach out. When she stands upright, you can't see anything. When she's thrusting her stomach forward, what's there looks like bloat from gas, a big lunch, or just a weird midsection. There was no need to announce a pregnancy at Eugenie's wedding or before this tour.